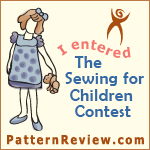 But this pattern isn't just for boys! I made these for a 10 year old girl from our Angel Tree at the local YMCA. I found this really cute flannel fabric from Joann's and even found the coordinating chevron flannel for the ruffles. One leg looks longer than the other in the photo, but I measured it later, and it's perfect. It must be the way it's hanging on the hanger. I also made a pair for a boy for the angel tree. And of course, I had to make a pair for Robbie. I am super happy with my plaid matching on this pair. A closer look at the side seam. I always seem to struggle with plaid matching but practice really does help. Pattern Description: Simplicity 1605. I made view C.
What did you particularly like or dislike about the pattern? I like the ease. And the time was less than an hour! Fabric Used: 100% cotton on the baseball and flannel on the other 2. Conclusion: This is my go to pattern for jammy pants. Very easy for a beginner. Thanks for stopping by my little world. Feel free to ask any questions.